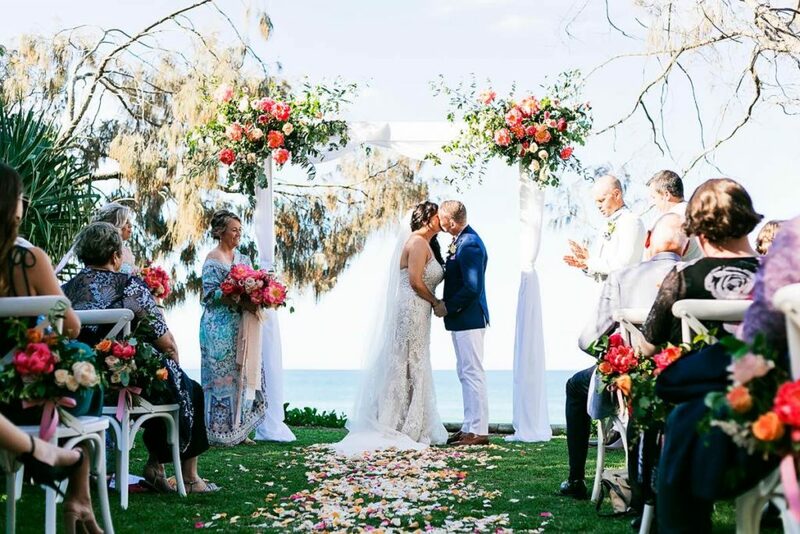 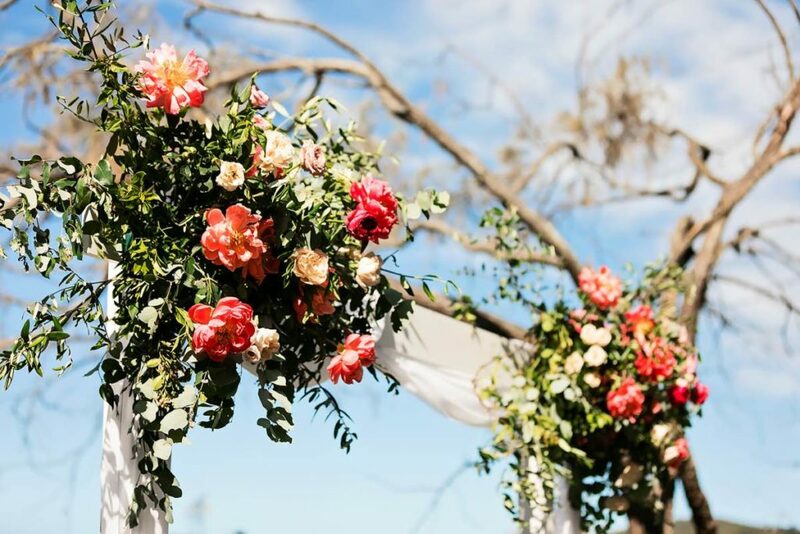 Set in the leafy and private nook of Casuarina Gardens overlooking Noosa Beach, Grant and Sharon said ‘I do’ on a warm summery afternoon surrounded by florals inspired by the sunset. 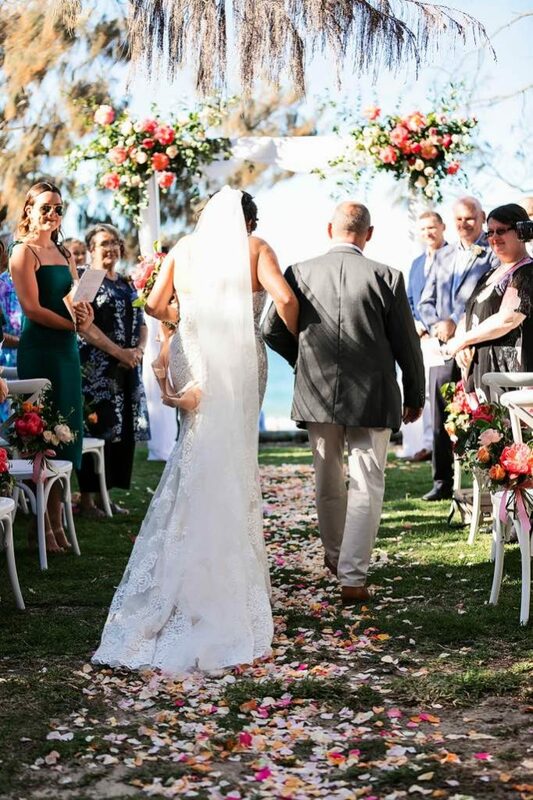 Trailing silk ribbons by ‘The Coterie’ added luxury and softness to the bouquets, especially when the breeze caught them. 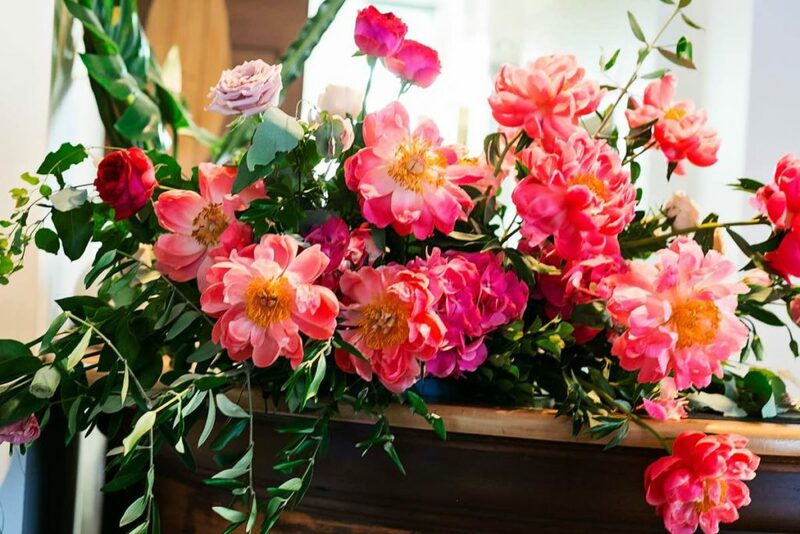 We used a combination of coral charm peonies, lisianthus, astilbe, spray roses, garden roses, with tendrils of honeysuckle. 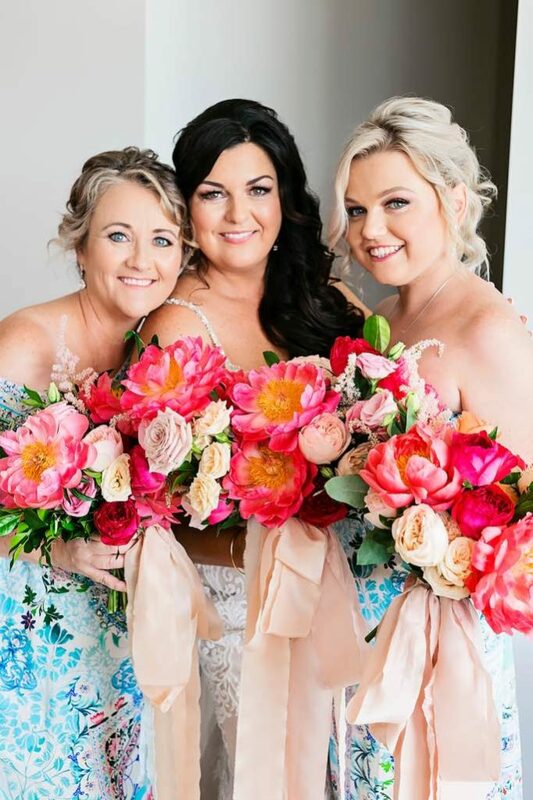 Sandi and her team were amazing! 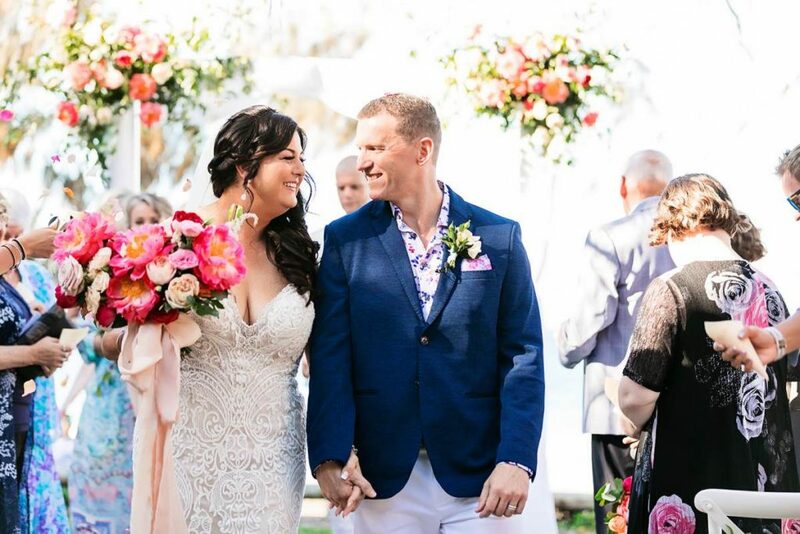 I had a vision and Sandi listened, & not only worked her backside off to deliver but went above and beyond! 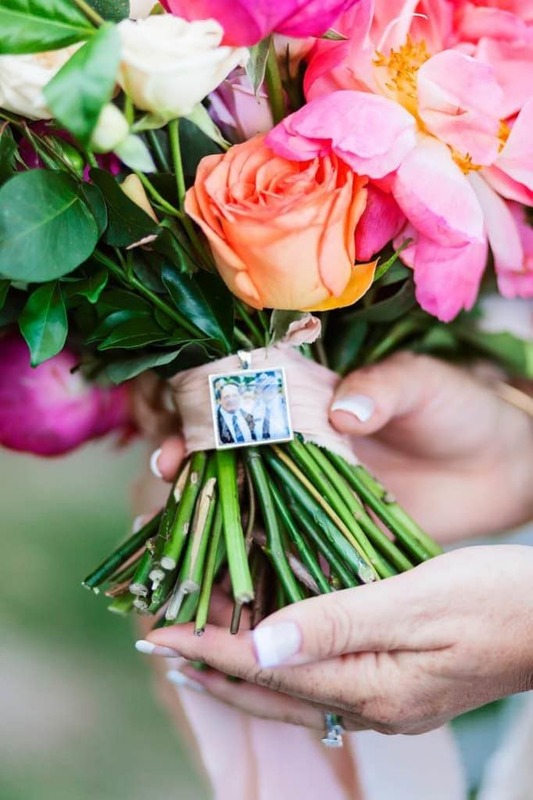 Our wedding was so beautiful because of Willow Bud. 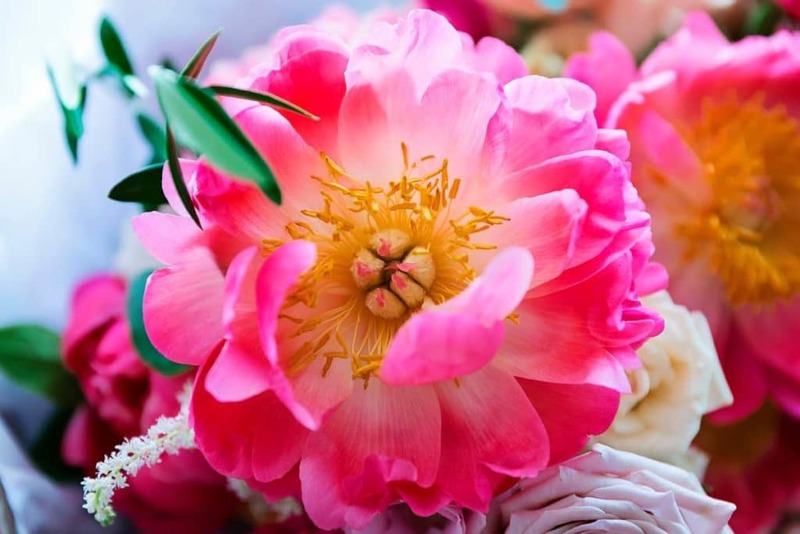 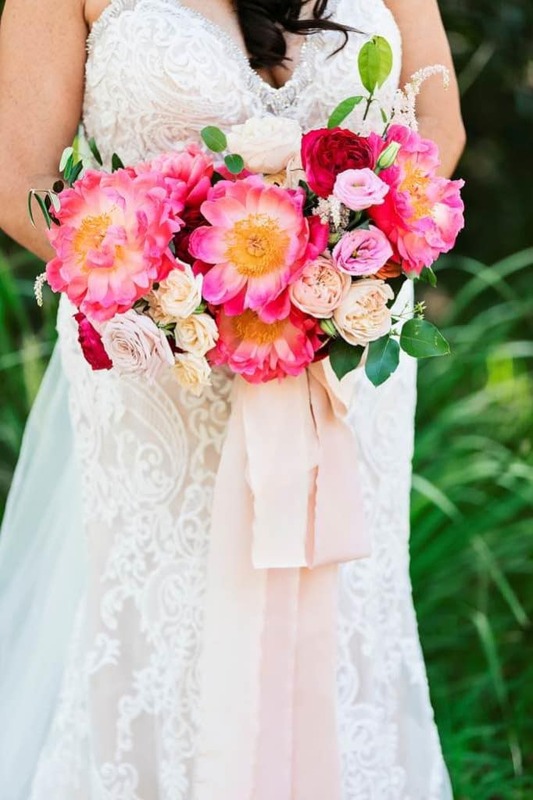 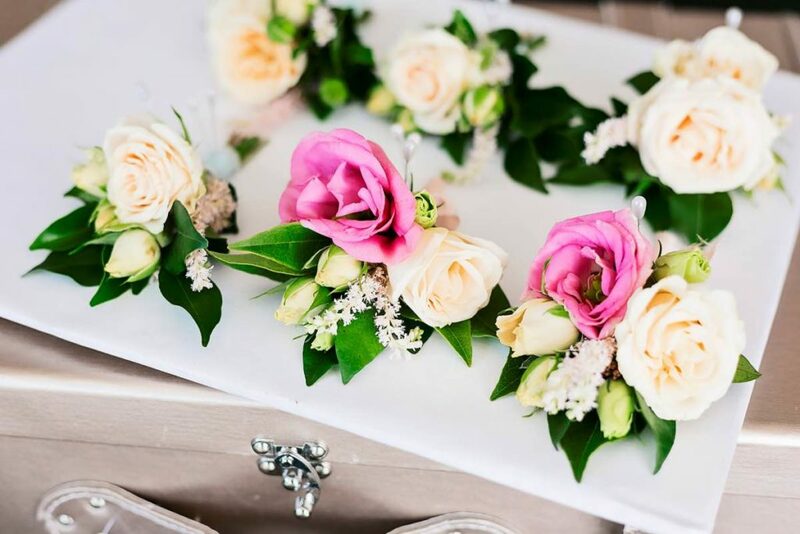 Do not even think twice about having Willowbud create your florals! 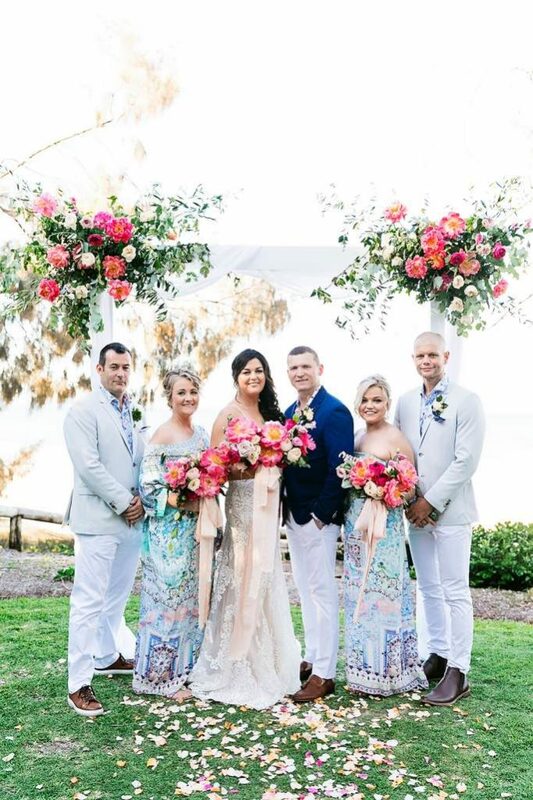 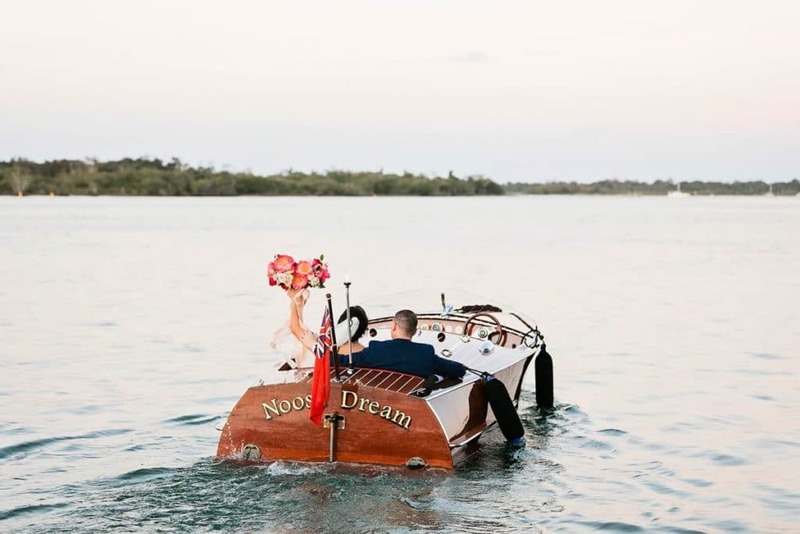 Splash Events provided the most beautiful coastal luxe styling and the Noosa beach ceremony and the Noosa Boathouse. 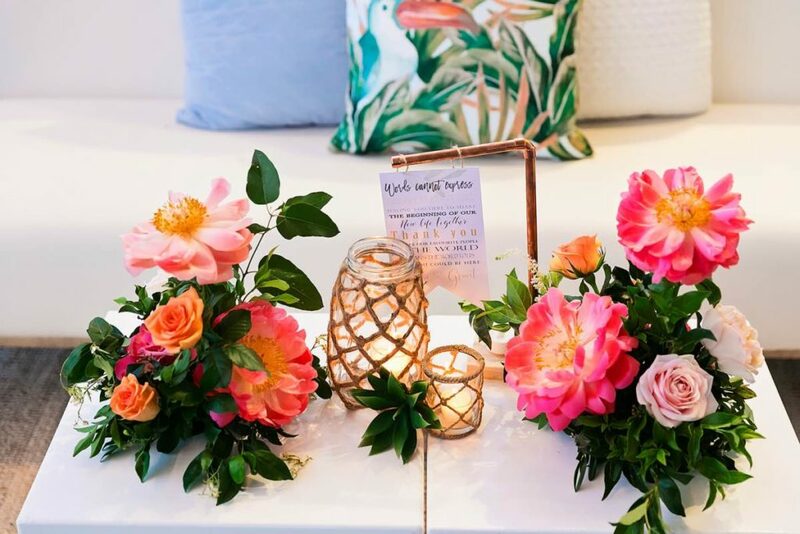 Crisp white furniture teamed with tropical print linen cushions, fresh pineapples and knotted twine candle votives really elevated the style of this wedding. 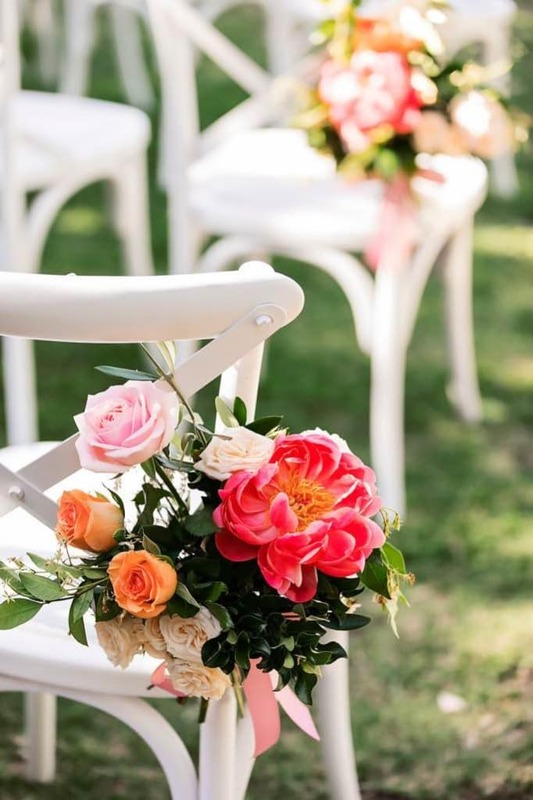 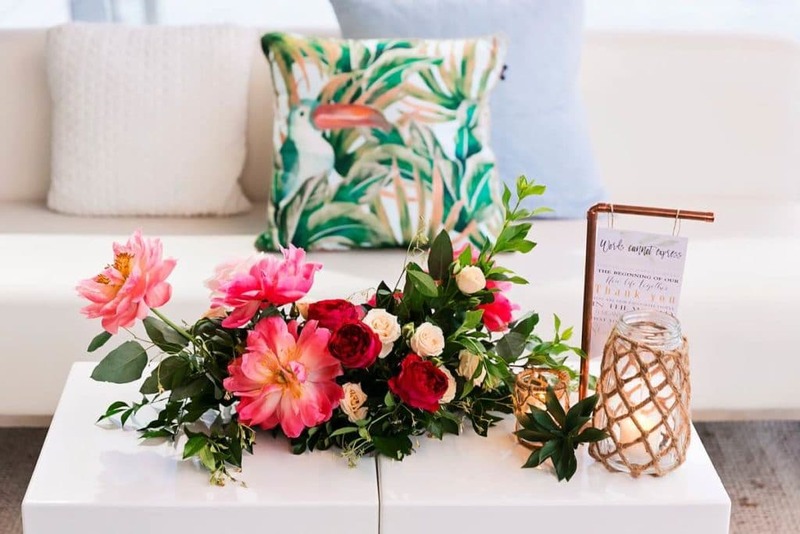 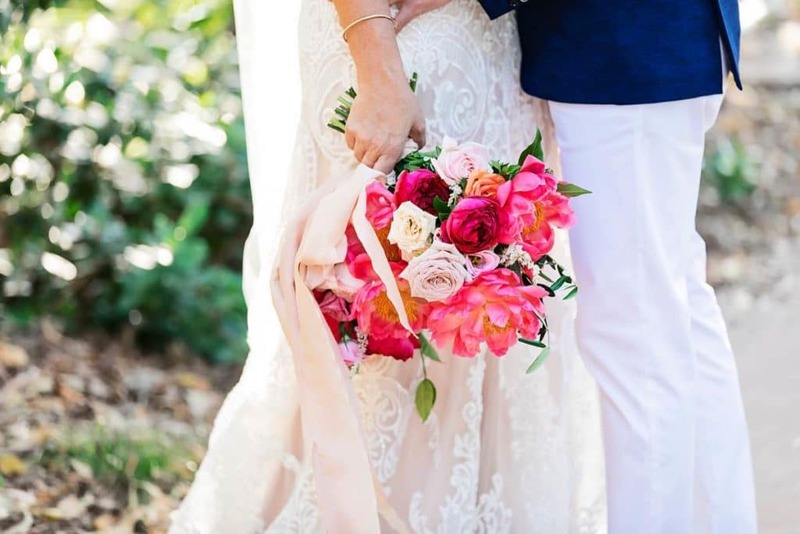 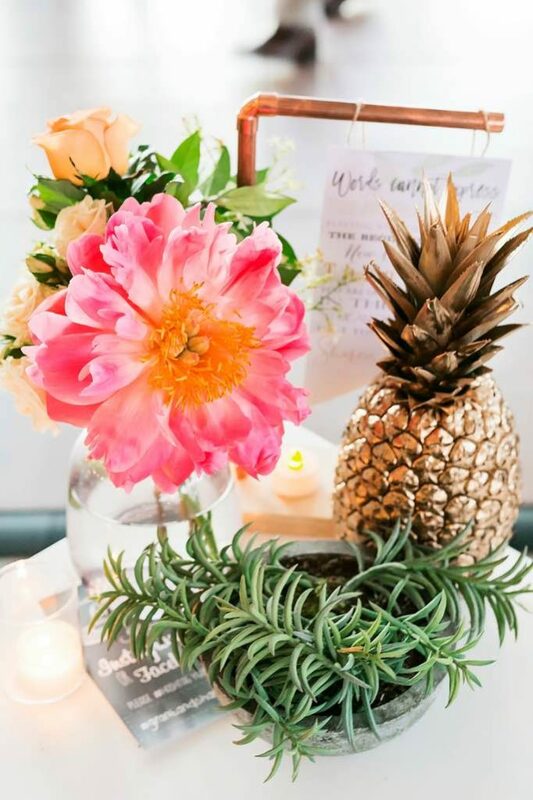 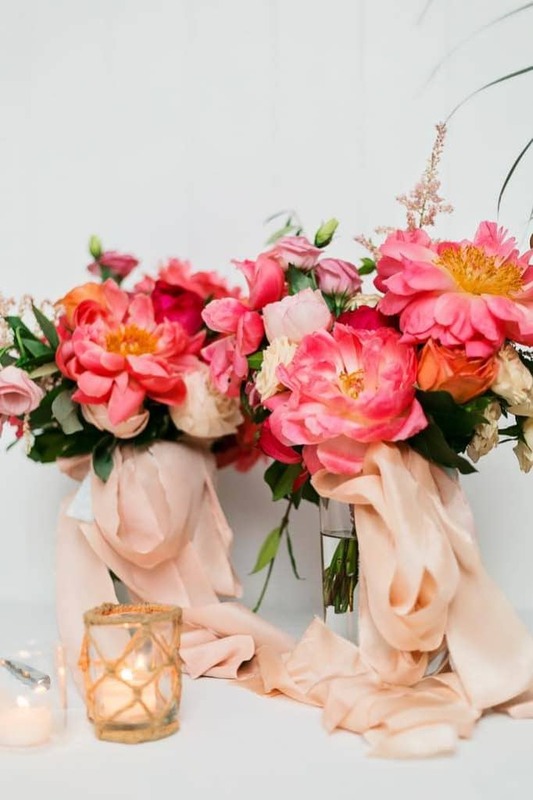 The wedding flowers at Noosa Boathouse were fun, flirty and colourful with a mix of posies in contemporary glassware and floral gardens scattered around the room.